THE RED HOUSE APARTMENT | The Red House Apartment. 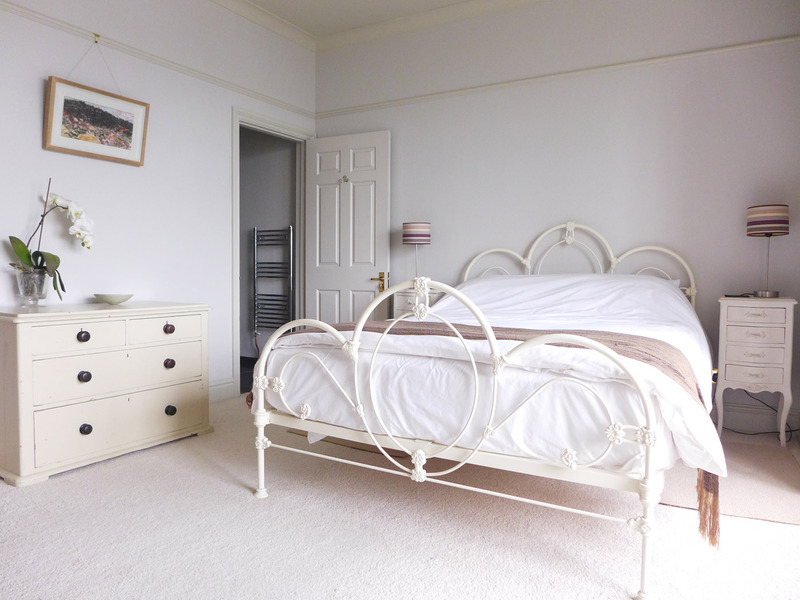 Light and airy two bedroom apartment holiday rental. Padstow’s old town and harbour with views. 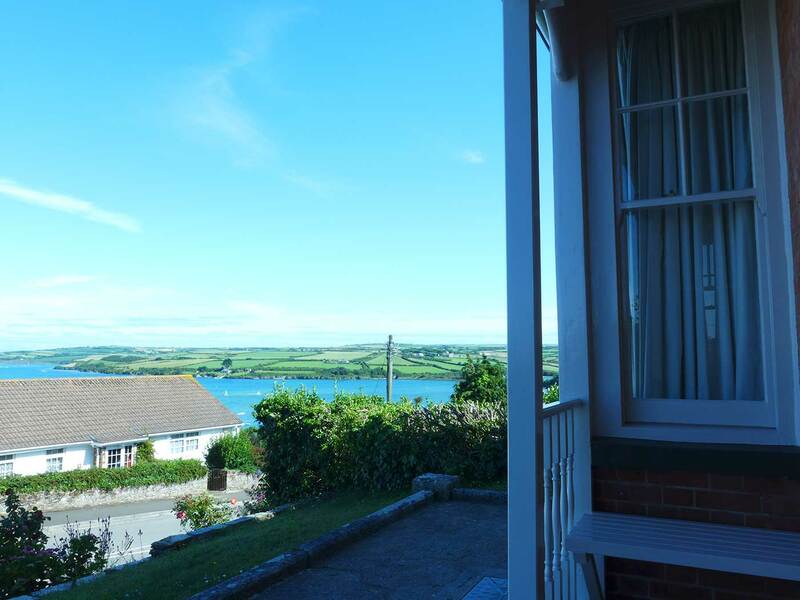 Moments from Padstow’s Old Town, with views across the stunning Camel Estuary, all the way to Bodmin Moor, The Red House Apartment is at the heart of Cornwall’s North Coast. A two bedroom home-from-home with maritime views from most windows, and two exclusive terraces - and parking. 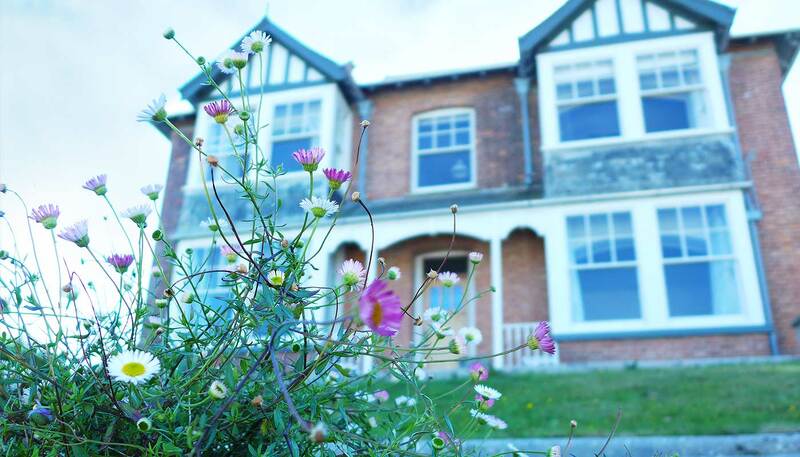 The Red House Apartment is a light and airy two bedroom apartment, with high ceilings and bay windows, occupying the entire ground floor of an early Edwardian red brick detached house. A short walk from Padstow’s old town On the west side of the River Camel estuary, twin headlands of Steppers and Pentire, Padstow is at the heart of all the very best Cornwall has to offer: endless sandy beaches, cliff walks, snug pubs, moorlands, and superb fish restaurants, from fish ‘n chips to haute cuisine. 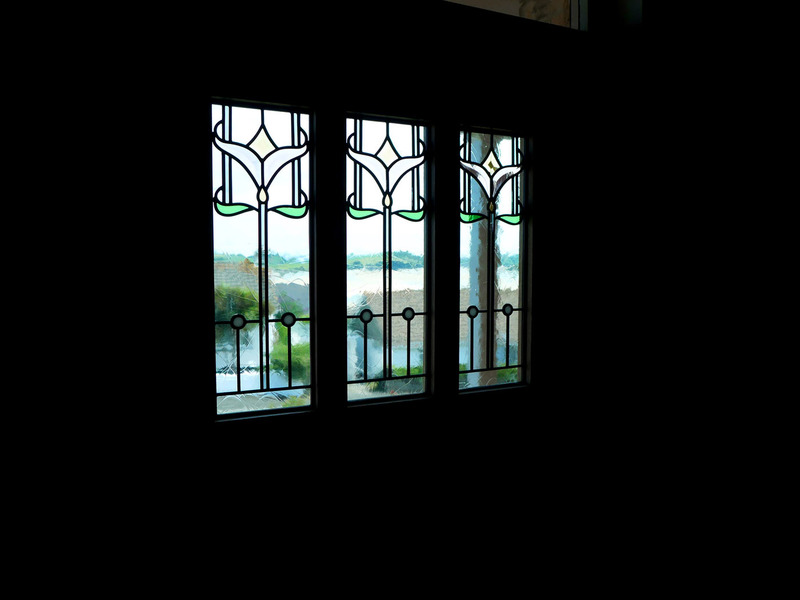 Visible from The Red House Apartment. 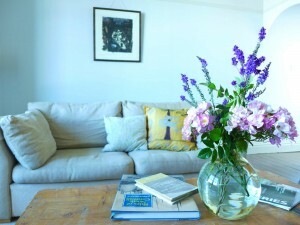 Light and airy two bedroom apartment holiday rental. Padstow’s old town and harbour with views across the Camel all the way to Bodmin moor. Moments from Padstow’s Old Town, with views across the stunning Camel Estuary, all the way to Bodmin Moor, The Red House Apartment is at the heart of Cornwall’s North Coast. A two bedroom home-from-home with maritime views from most windows, and two exclusive terraces – and parking. 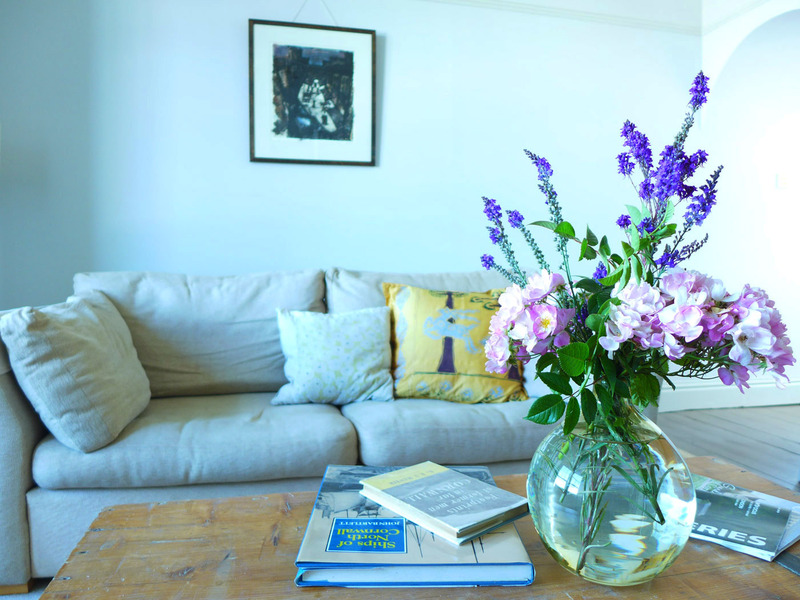 The Red House Apartment is a light and airy two bedroom apartment, with high ceilings and bay windows, occupying the entire ground floor of an early Edwardian red brick detached house. A short walk from Padstow’s old town and harbour it stands on a promontory, with fabulous views. The sun rises over the Camel, illuminating both the front facing en suite double bedroom and living room. It then arcs above the south facing side of the house where the dining room boasts full size sash windows, one facing the rear garden and the other looking towards the Iron Bridge, and Queen Victoria’s jubilee monument atop Dennis Hill. Its descent illuminates the kitchen, rear twin bedroom and the second of the apartment’s two exclusive terraces. Protected from the Atlantic Ocean by the twin headlands of Steppers and Pentire the ancient fishing port of Padstow is at the heart of all the very best Cornwall has to offer: endless sandy beaches, cliff walks, snug pubs, moorlands, and superb fish restaurants, from fish ‘n chips to haute cuisine – including those managed by the town’s celebrity tv chef. 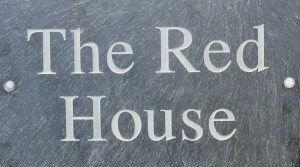 The Red House Apartment offers ample space for a family of four, two couples or four friends. There are picture rails with a range of artworks, and bookshelves stocked with good reads, WiFi and a smart TV. Due to the steep gradient of the front lawn, and the height of the garden beds above the street pavement, this aspect of the apartment it is not ideal for wayward toddlers. There are two perfectly safe garden terraces but parents of very young children will need to keep an eye on their youngsters. As already, stated the front bedroom is en suite. It has a white king size iron bed and antique wardrobe. Whilst not en suite, the rear bedroom, with twin 2’6″ beds, is directly across the rear hall from the main bathroom where there is a bath, shower, sink and toilet. 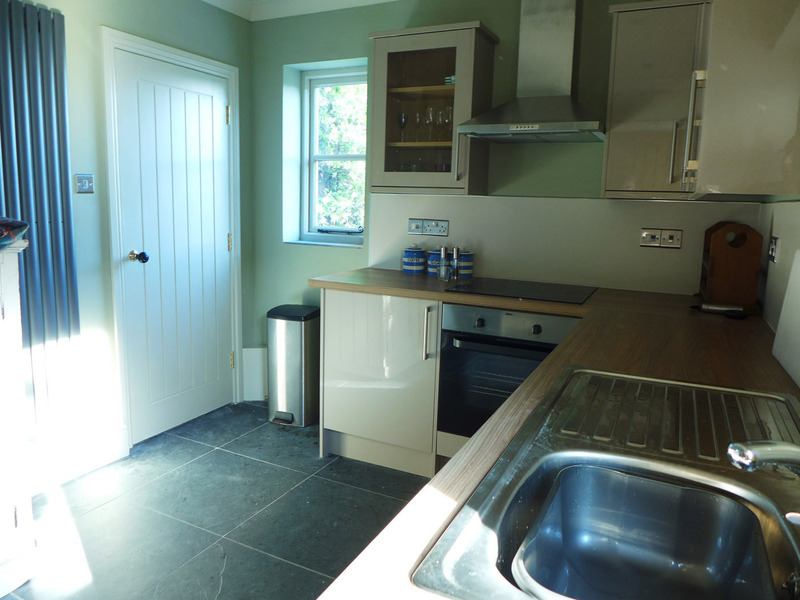 The fully fitted kitchen is to the rear with oven, hob and extractor fan, microwave, fridge, dishwasher and washing machine. The owners live upstairs with their affectionate Airedale Terrier, Asta, who patrols the rear garden. 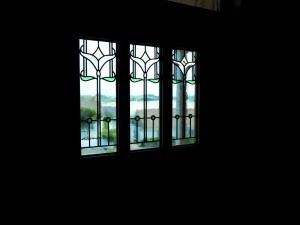 The apartment decor is light and in keeping with a fine home of the period: several rooms are carpeted, for example – which is why there is a rack in the hall for sandy or muddy shoes, and complementary disposable slippers for every guest. Two Bedrooms: one double ensuite with views: one twin. Living Room: two settees, smart tv with views. 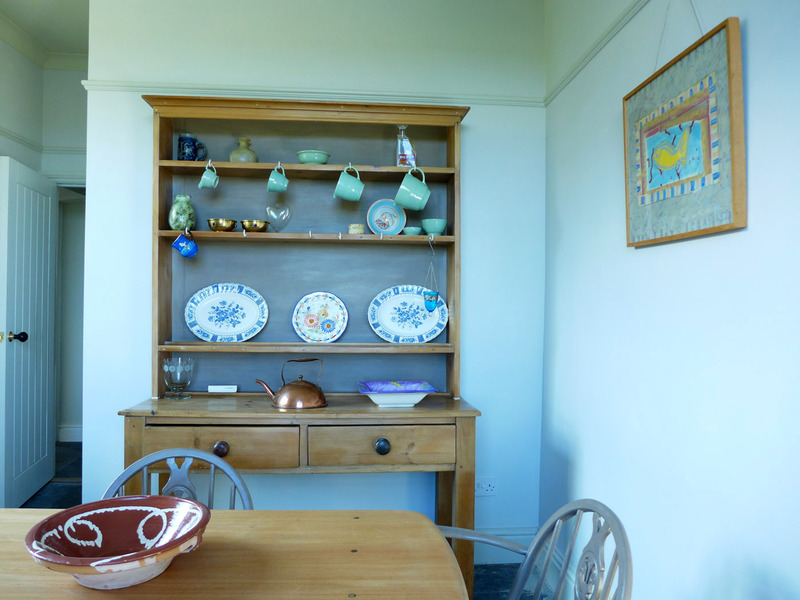 Dining Room: connected to Living Room: Welsh dresser, table and chairs and views. Bathroom: bath, shower, sink and toilet. Kitchen: electric oven and hob and extractor, fridge and freezer, dishwasher and washing machine. Views and access to private terrace. Front garden terrace with views. The Red House Apartment is unsuitable for unsupervised youngsters. Parts of the garden are raised above the entrance path and pose a potential risk to youngsters. Similarly, access is gained to the house via two short flights of steps, rendering it almost impossible for anyone with mobility issues. Space, light, and heart stopping views across North Cornwall, The Red House Apartment, provides two spacious bedrooms, two terraces, and parking, and all of that moments from the waterside and Padstow’s Old Town.